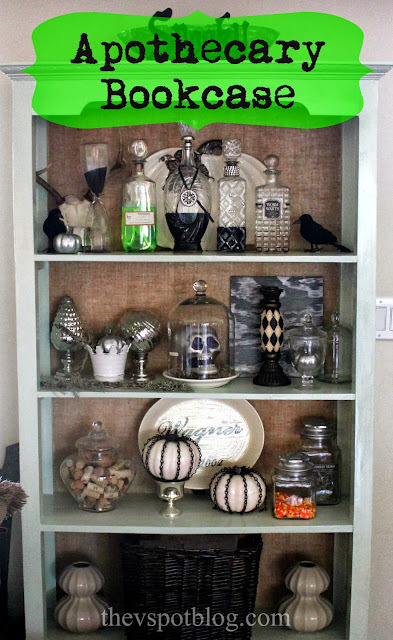 I have several beautiful glass bottles and decanters and I like to bring them out at Halloween. 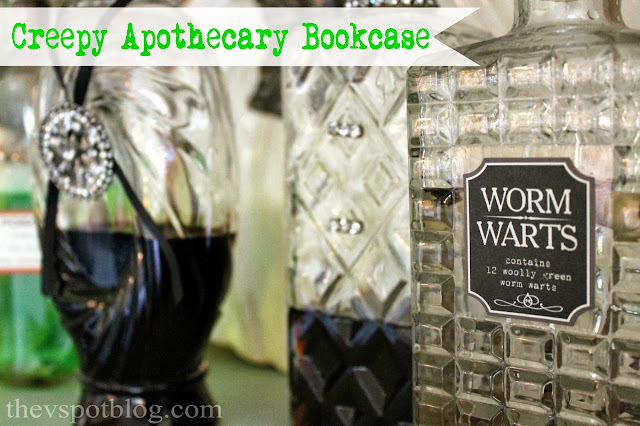 Last year I showed you how to make spooky spirits and potions using items you already have in your own kitchen. I decided to set them up in my beachy bookcase and make it look a bit like a creepy chemist lives here… my “apothecary” bookcase. Want to know what my potions and poisons are this year? 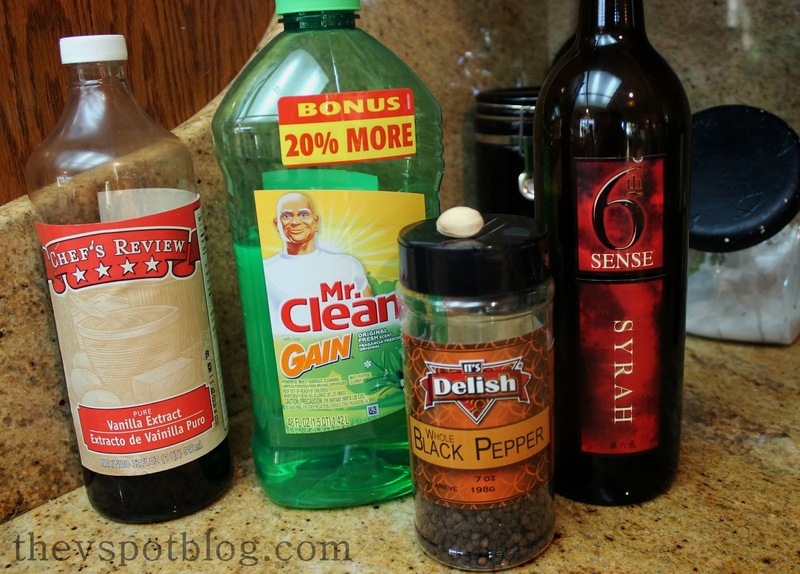 Yep, Gain floor cleaner (which I decided to try because of the color) cheap vanilla extract, red wine and water with peppercorns and pistachios floating in it. I still like my pumpkins in chains, too. I think Halloween is the most playful holiday when it comes to decorating. Yep! Super Creepy and cool! Pinned it! What do I think? I think I love it! 🙂 Pinning! Halloween decor in my entryway and dining room.